Now there's a new Origins mask in my menagerie, and it's yet another winner. 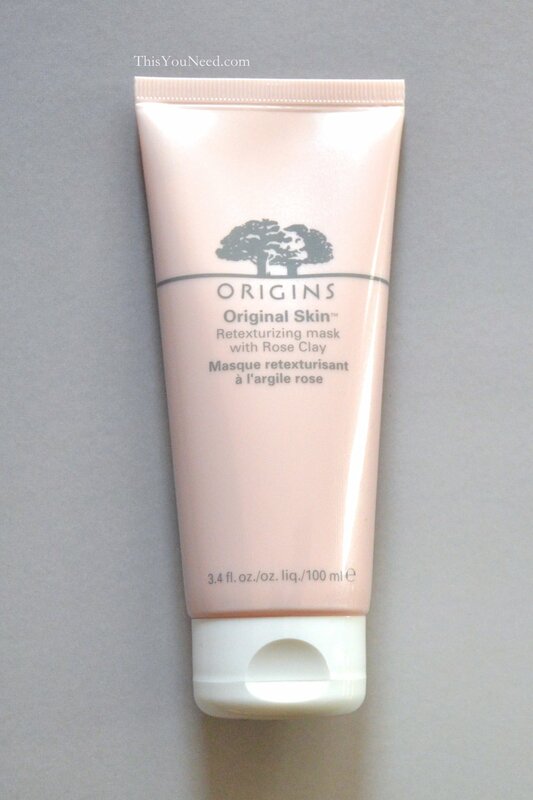 The Original Skin Retexturizing Mask with Rose Clay is a purifying mask (similar to Clear Improvements) but it has an added element of refining from jojoba beads, which you massage into your skin to exfoliate as you wash off the mask. Those mad geniuses at Origins have also thrown in some Canadian willow herb to counteract any redness or changes in skintone, which means this could be a great mask for those of us who want a refining, resurfacing mask, but also suffer from finicky skin. 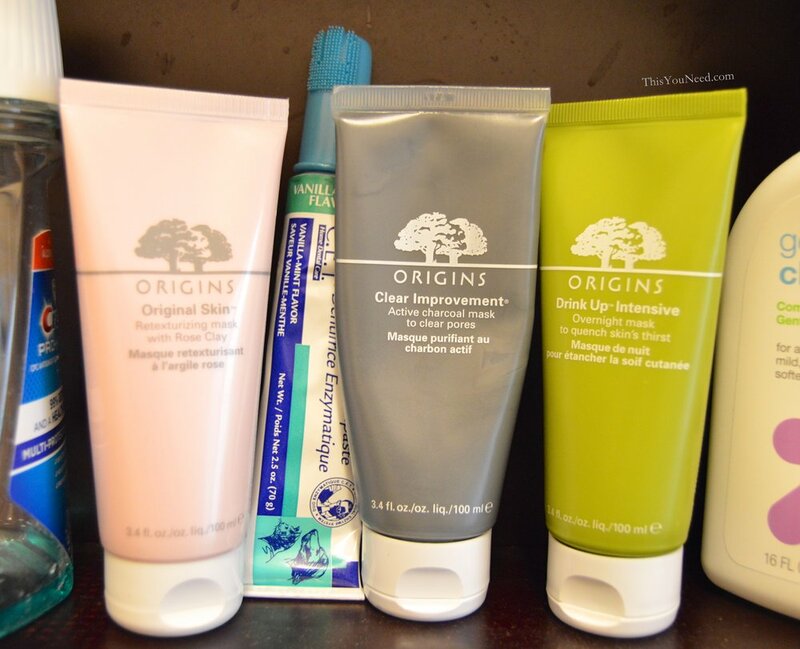 This trio of Origins masks also looks chic and spa-like in your medicine cabinet. I mean, I'd imagine it would. In my medicine cabinet they're all together, making me look very brand-loyal and sophistaced, but they're also stored next to dog toothpaste.